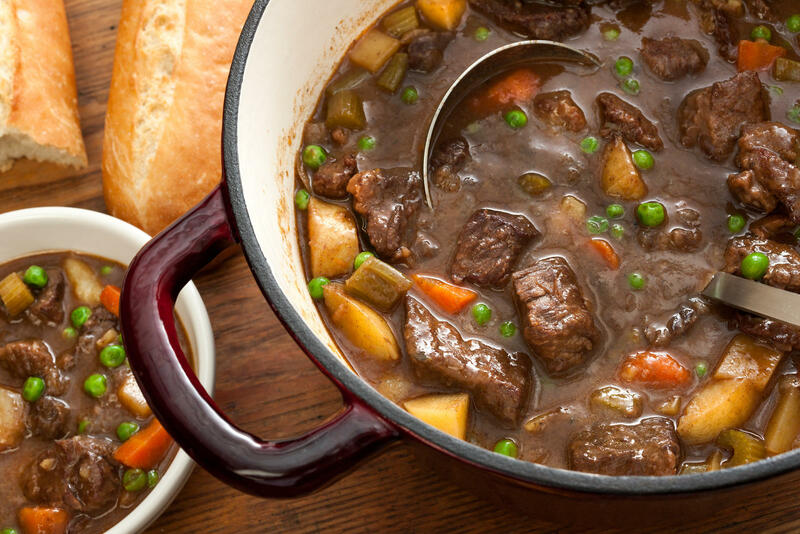 Many stew recipes call for cooking the meat and vegetables at the same time, leaving the latter overcooked and mushy. Instead, first braise the meat with onions in red wine and beef broth until a rich sauce develops. Then, after about an hour, add carrots, celery, and potatoes. By the time the vegetables are cooked, the beef will be tender, then just stir in some peas for a little freshness and color.